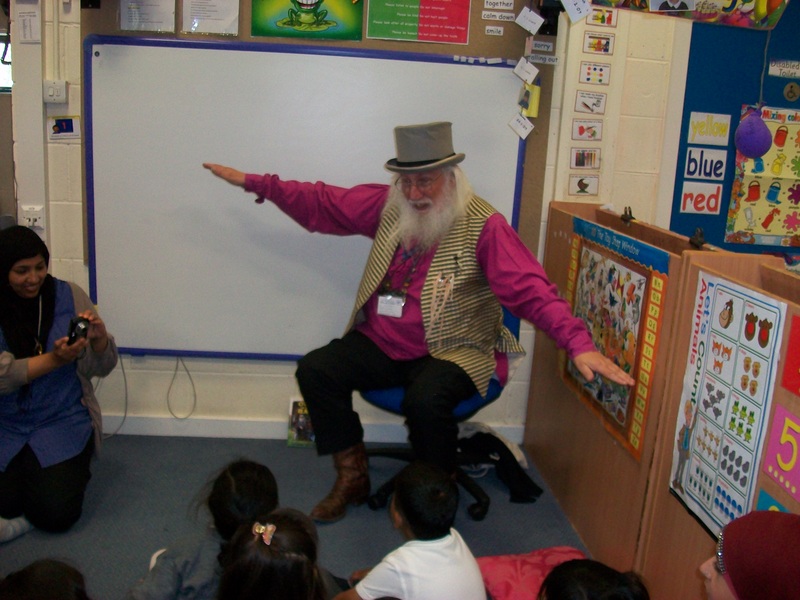 John has appeared in hundreds of schools across the U.K. , Austria, the U.S.A., Malaysia, Germany and Algeria since 1976. He works with all age groups, from pre-school to year 12. As a qualified teacher, he understands how schools operate and employs a flexible approach adapting to the needs of the school. He has a presentation specifically designed for key stage one and material suitable for key stages two and three. With younger children he links his stories to the birds and animals they might find in the countries the stories originate from. With older pupils he places stories in a historical context. All performances and workshops are interactive and he encourages pupils to participate. John’s performances and workshops touch on many aspects of the national curriculum especially speaking and listening. 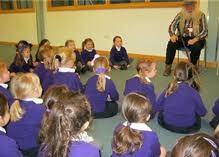 He can place the emphasis of each session on either stories or poems depending on the needs of the school. He uses anecdotes to bring the art of writing alive and builds stories with students in a way that allows children of all abilities to participateJohn’s experience of storytelling in the teaching of English as an additional language is invaluable in classrooms where children may be experiencing language difficulties. John carries full public liability insurance and a current enhanced CRB check.